Before becoming a Forest Preserve District of DuPage County commissioner in 2012, Mary Lou Wehrli served as co-chair of DuPage Neighbors for Open Space, Clean Water and Clean Air, where she worked in 2006 to successfully promote the District’s $68 million referendum. After a six-year term on the Naperville Park District Board of Commissioners, including one year as president, she worked as an advocate for both the West Branch Regional Trail and the Greene Farm, which sparked her decision to step back into government. As one who applauds the tremendous work of Forest Preserve District volunteers, Wehrli herself has donated time to serve on the boards of the Naperville Heritage Society, KidsMatter, the Riverwalk Foundation and Rotary Sunrise. Wehrli is committed to preserving the District’s native ecosystems and is a proponent of high stewardship standards. She believes that fiscal clarity and cautious spending are vital to managing the assets that DuPage County citizens have entrusted to the District’s board and supports intergovernmental cooperation and corporate partnerships to help the District make the most of its resources. Wehrli is thrilled that so many visitors use the county’s 25,000 acres of open space. She enjoys biking and canoeing with friends along the county’s waterways, some of her favorite forest preserve features. 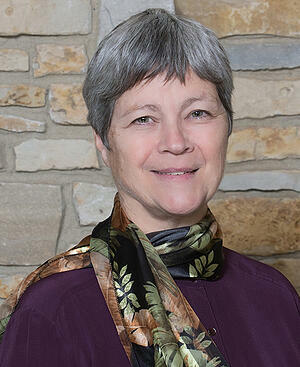 As an advocate for balance between an enjoyable urban quality of life and a healthy landscape, she supports efforts to create an even greater public awareness and understanding of the Forest Preserve District’s natural areas as well as its cultural and maintenance features, which she also sees as falling within the context of the agency’s mission. Wehrli is a graphic designer and property manager and lives in Naperville with her husband in the timber frame home they built together in 1982.